By many accounts, the AR15 is the most popular gun in the United States. Most of the ARs out there either fall into the fixed rifle variety or one of the variations of collapsible carbine style. Magpul’s UBR Gen2 was designed with the goal of getting the best of both stock types in a single system, so there would be a collapsible carbine stock with the durability and stability usually only found in the fixed rifle designs. The stock itself is well planned out with multiple sling attachment points, angled toe rubber buttpad and a small, storage compartment, all standard. The current color options are Black, FDE, Stealth Grey, and OD Green. We found the built-in trap door to be a good spot the keep a rolled up Bore Snake for quick barrel cleaning. Magpul’s UBR Gen2 stock is more of a kit than a standalone piece, as it includes the receiver extension (buffer tube) and end plate as part of the stock assembly. 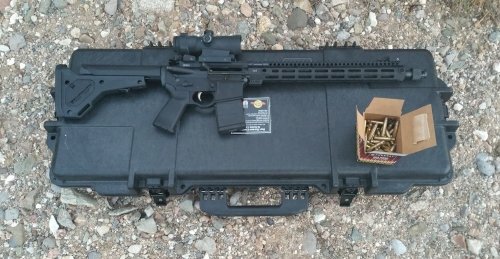 We paired ours up with a Strike Industries Carbine Flagwire Spring and Spikes Tactical ST-T2 Heavy Buffer to complete the backend of our AR15, which makes for an impressively quiet and smooth shooting combo. We have had zero problems with this setup. The UBR Gen2 adjusts to seven different positions. 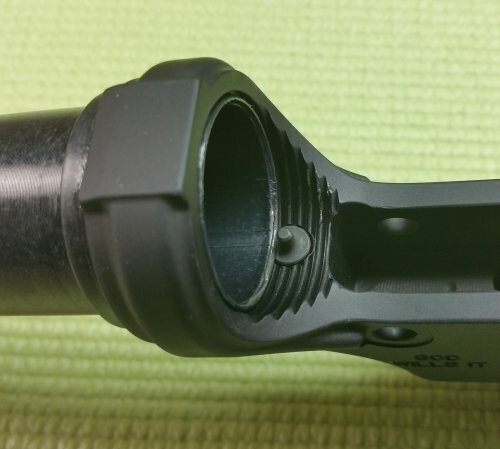 The end of the main tube aligns with markers for the longer settings on the stock. 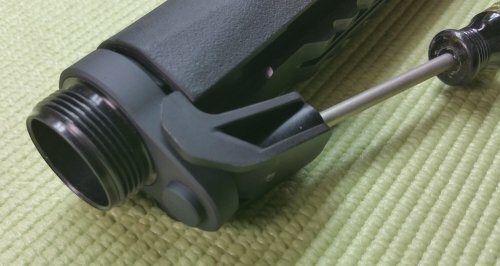 When the end of the buttstock is moved in or out, the cheekpiece stays consistently in the same position, as it is attached to the main tube, not the adjustable part of the stock. What really sets the UBR Gen2 apart from all the other adjustable stocks that we have used is that once a length adjustment clicks into place, it doesn’t move. I mean that it locks into place and does not even twitch. There is no wiggle and no set screws or other workarounds to make up for tolerances in parts. Installation of the UBR Gen2 starts with disassembly. 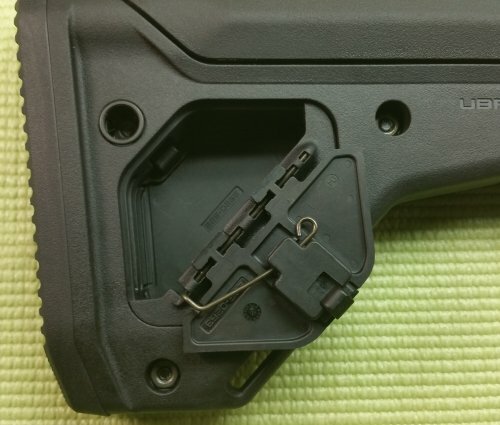 Push the release latch to extend the stock back as far as possible. Then, use a flathead screwdriver to lift up on the extension stop plate tab so that the stock can be fully removed from the rest of the assembly. The claw-like removal tool, included in the box, is needed to get the cheek riser moving. The tool has a hole in the rear for a screwdriver, which acts as the lever handle. The “claws” are placed on the edges of the riser, with the middle of the tool resting against the ASAP plate. Pulling down on the screwdriver will get the cheek riser moved far enough back that it can be pulled the rest of the way off by hand. After the cheek riser is set aside, the threaded main tube nut at the rear of the assembly can be removed. Ours could be taken off by hand. The three other main pieces should just slide apart. Before installing the buffer tube onto the receiver, the best practice is to put a little lube on the threads, with mil-spec calling for AeroShell 33MS Grease. A little goes a long way, so a small container will last for years. 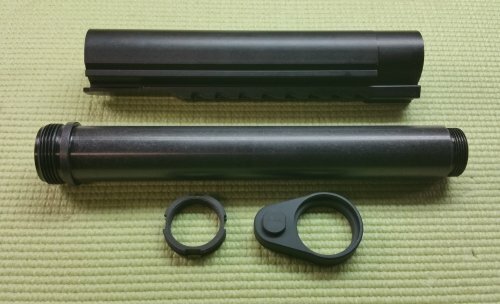 Make sure to insert the buffer retaining pin and spring before tightening the receiver extension all the way onto the lower. I like to get the threads started and the drop in the spring, with the pin on top, right before the end of the receiver extension is far forward enough to hold the parts in place. We put a touch of krytox grease on all the springs and pins during assembly, since it is a once and done type of application. The buffer tube should be torqued to 35-39 foot pounds with a 1/2 inch wrench. Conveniently enough, there is a square cutout on the back of the tube for this purpose. The next step is to drop the buffer spacer down the tube. 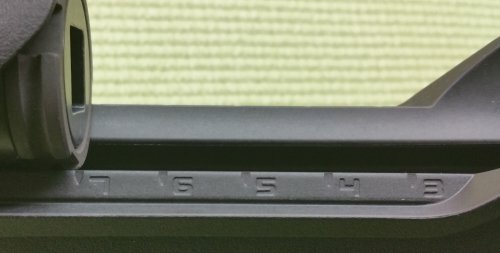 One end is marked “spring side”, which should be facing up when the spacer is dropped in. 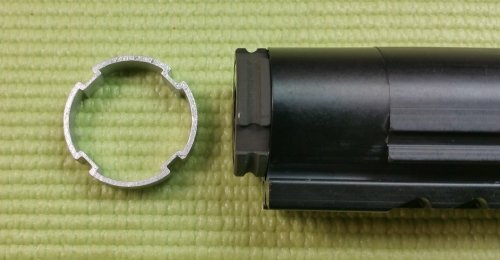 The buffer spacer can be left out for those running an A5 buffer/spring setup, but most folks will need it. This is followed by the buffer spring and recoil buffer. 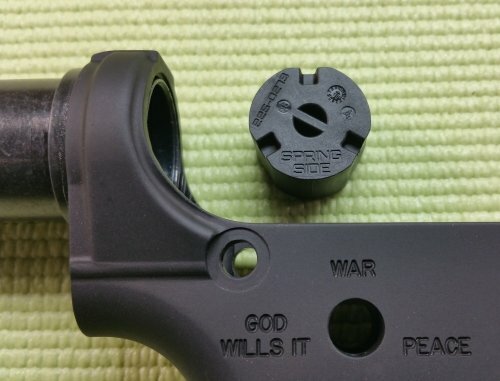 The ASAP plate will fit over the buffer tube and sit flush with the back of the lower receiver. Since this is also the part that holds the takedown pin’s spring and detent in place, those parts should be installed before moving forward in the assembly process. The main tube goes on next and just slides into place over the buffer tube. There is a tab on the bottom of the main tube that needs to lock into the slot machined into the ASAP Plate. The proper alignment is simple, as long as you know to look out for it. The main tube nut goes back on to hold the assembly together. The proper torque setting for this is 20-25 foot pounds. This is also why there is a small aluminum ring included in the box with the UBR Gen2, that does not seem to fit anywhere. 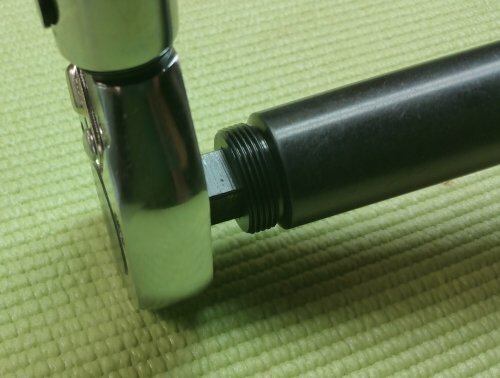 It is an adapter that will let castle nut wrenches fit the slightly smaller tube nut. After the main tube nut is tightened down, the cheek piece will slide back into place over the main tube. It should be installed flat side first and our went on about 90% of the way, and then needed a tap on the rear with a hammer to get it moved forward the last bit and locked into place. 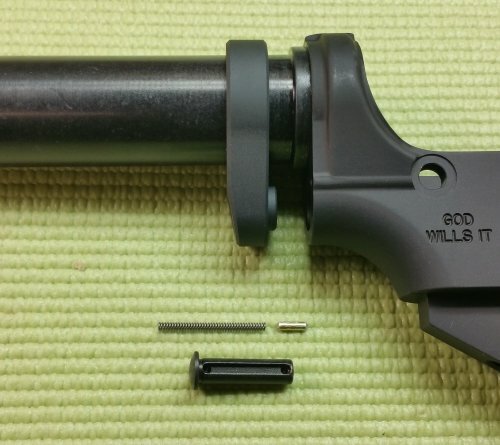 Finally, the lower stock assembly just slides back into place. We ran a function test to make sure that everything worked as intended and were done! When trying to wiggle the stock around when extended we noticed how it does not move once installed. 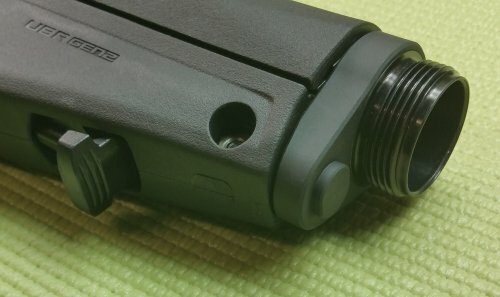 We took the Magpul UBR Gen2 out and had four different shooters test it. All agreed that it felt very solid and comfortable when firing. It was very easy to adjust between the different shooters, with enough adjustment that everyone could find a comfortable setting. A few of our testers commented on how solid the adjustments felt and one said “this stock is built like a tank”. 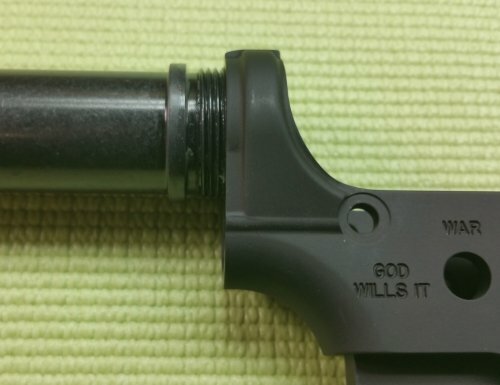 When paired up with an optic, the cheek weld was solid and repeatable. It was also comfortable to shoot in both slow and rapid fire, even when using the Fostech Echo AR-II trigger to empty mags with abandon. 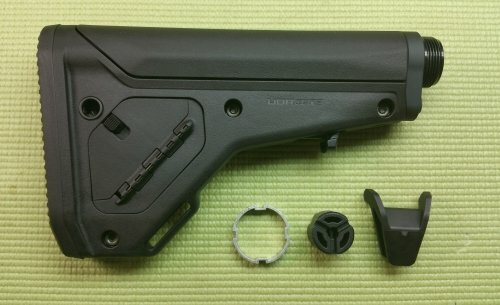 Personally, the UBR Gen2 seems like a hybrid of the best rifle stock features pulled into a solidly built carbine stock. 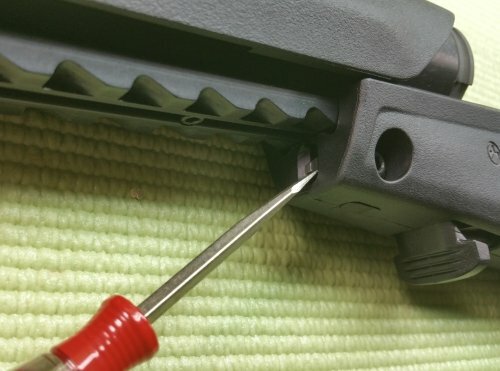 This is the fix for all the AR owners who want to, once and for all, get rid of their wiggly carbine stocks. The ASAP Plate measures 0.380 inches thick. However, it does have a slot cut into the back for the main tube tab. 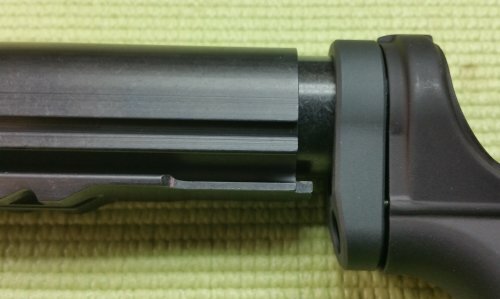 The castle nut has basically been moved from the front of the assembly, next to the receiver, to the rear of the buffer tube, next to the buttstock. The receiver extension is threaded at the rear so that this main tube nut can hold everything together.